Updated list. CBS is making some changes, so after this I will only be posting when Jorja is going to be in an episode. 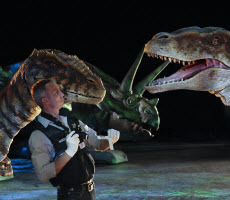 “Cold Blooded” – When a college student ends up dead after a “Walking with Dinosaurs” show, the CSIs must determine if his death was murder or accidental, on CSI: CRIME SCENE INVESTIGATION, Thursday, Oct. 28 (9:00-10:00 PM, ET/PT) on the CBS Television Network. Actress Katee Sackhoff (“Battlestar Galactica”) guest stars as Detective Frankie Reed, a tough, smart officer who assists the CSIs on a missing persons case.